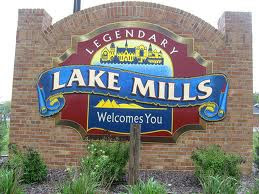 Lake Mills, the city of Pyramids is a charming community that makes a big splash with visitors and citizens lucky enough to call it home. Located just off I-94 and east of Madison, this vital community has been successful in preserving the small-town feel and tranquility of the area, while encouraging growth and attracting new businesses. Dip into Rock Lake – the mysterious waters of the lake of Pyramids- a 1,371-acre recreational oasis for a wide variety of water sports, such as sailing, fishing, swimming, water skiing or a leisurely sunset cruise. 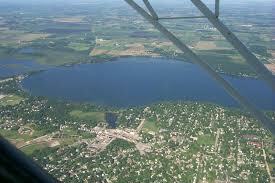 The mystery lake is surrounded by five parks, two beaches, marshy areas and residential homes. Urban legend says "stone structures that are reported to be found on the bottom, One such legend says that after suffering a long and terrible drought, natives appealed to their gods for help by building and using sacrificial pyramids. In answer to their prayers, great waters soon covered the pyramids and created the lake." For more information on the legend see www.whylegendary.com. ROCK LAKE, another incredibly beautiful WISCONSIN LAKE - You can’t help but have a good time on a WISCONSIN lake. In the Lake Mills, Wisconsin Real Estate market 8 homes sold; 3 were list and sold by the same company, and 5 were sold by co-brokes. In the Lake Mills, Wisconsin Real Estate market there were 16 new listings. In the Lake Mills, Wisconsin Real Estate market there were 6 pending listings. 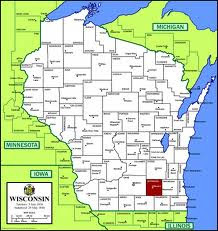 In the Lake Mills, Wisconsin Real Estate market there were 0 withdrawn listings. In the Lake Mills, Wisconsin Real Estate market there were 0 canceled listings. In the Lake Mills, Wisconsin Real Estate there were 11 expired listings. 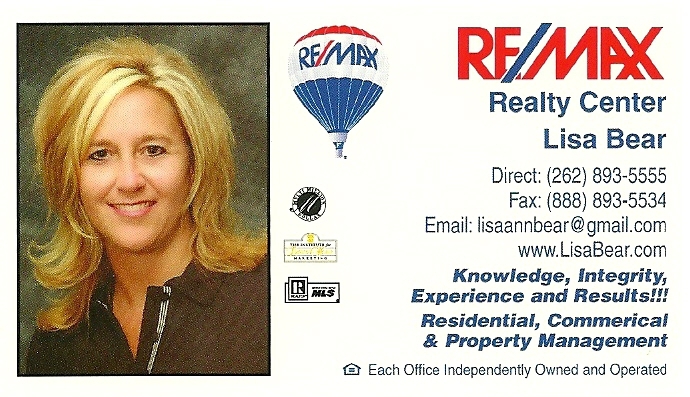 In the Lake Mills, Wisconsin Real Estate there were 4 back on market listings. In the Lake Mills, Wisconsin Real Estate market there were 5 extended listings. In the Lake Mills, Wisconsin Real Estate market there are 104 currently active listings. 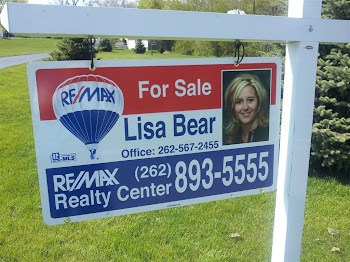 In the Lake Mills, Wisconsin Real Estate it is a great time to call LISA BEAR to buy and sell!